A southeastern chemical company had reliability issues with the leading brand of scotch yoke actuators. The actuators were mounted on 12" top entry ball valves that sent process reactor off-gas to a dryer for processing. The actuators cycle the valves every two minutes. Top entry ball valve automation is challenging because the adjustable ball stops on top entry ball valves can increase torque values, and undersized actuators are common. 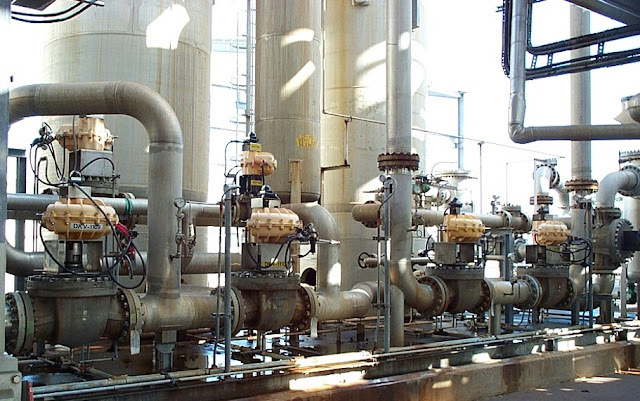 In this application, the scotch yoke actuators were also unreliable due to seal leaks, sticking, and lock up, which dramatically affected the plants production of PTA (purified terephthalic acid). The first Kinetrol actuator installation for this application, a 187-100, was installed at the chemical plant 1997, and it is still in service today. By our calculations, that actuator has cycled 5,148,000 since then, considering it strokes every two minutes, 24 hours a day, 7 days a week for 325 days a year. For more information, contact Kinetrol USA.